Protect yourself and your future from unnecessary pain. Research shows that even motor vehicle accidents from seemingly harmless 'fender-benders' with minimal to no obvious damage to cars can create symptoms moments, days, weeks, and even months to years later because of altered neck and back alignment and function which then causes irritation and stress to the nerves and soft tissues. This means more pain and stiffness for you. With practically all of us having to enter into a vehicle every day, it is important to know injuries can occur during a crash. Even if your vehicle has no damage, you might! The most common symptom from a motor vehicle accident injury is neck pain, but injury pains can range from headaches, neck pain, shoulder pain, mid-back pain, low back pain, disc pain, TMJ/jaw pain, shoulder pain, hand/wrist pain, knee injuries, to nausea, changes in balance, and more. The longer you wait, the more permanent neck and back arthritis can occur - which means you can feel pain more often or more intensely over time. We constantly see patients who suffer from the complications to their back and neck from motor vehicle accidents that occurred years ago. 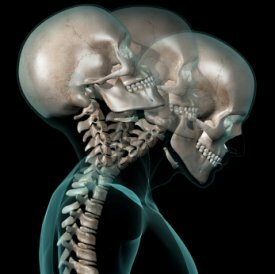 Due to the growing number of patients that have come to this office because of injuries sustained from automobile crashes, both doctors have received advanced training in this area of concern, and Dr. Mroczynski has obtained Certification in Whiplash and Brain Injury in recent years with the prestigious Spine Research Institute of San Diego. If you or someone you know has been in an automobile accident and you are in pain, DON'T WAIT to call us for examination and treatment! "We help when you hurt."